Voting is underway in Ohio, now through Election Day—Tuesday, November 6. 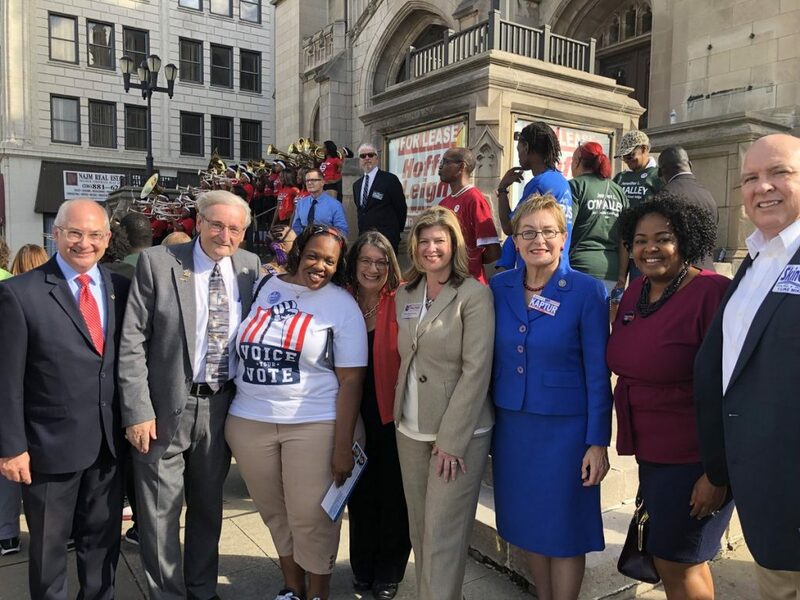 On Wednesday, Sen. Skindell joined Democratic candidates for the General Assembly, US House, and statewide offices for a rally at the Cuyahoga County Board of Elections. Voters in Cuyahoga County may cast a ballot in person at the Board of Elections, 2925 Euclid Avenue in Cleveland, any day of the week through Election Day. Hours are listed online. You may also request a vote-by-mail ballot up until the first weekend of November.